Spammers try relentlessly to find ways and means of surpassing spam filters. The methods they employ keep changing from time to time but the processes involved in spamming remains much the same. The first step in spamming involves collecting and verifying recipient e-mail addresses. Very often the addresses obtained are classified into various target groups. spammers use different techniques to obtain e-mail addresses of Internet users, the common method being spoofing. In spoofing, spammers use random combination of words to speculate the e-mail address of an Internet user. spammers also gather e-mail ids from websites, chat rooms and other forums. In the second stage of spamming, platforms that would facilitate the mailing of spam are identified and put into use. 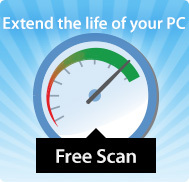 This includes servers or even personal computers. One of the methods adopted by spammers is direct mailing from rented servers. They also penetrate poorly configured servers and use them for their spamming activities. These servers can be classified as open relay or open proxy servers and are freely accessible for spreading spam. But the most popular method is the use of bot networks where spammers use infected machines (usually infected by Trojans) as platforms for mass mailings without the consent or knowledge of the user. The third phase of spamming requires mass mailing programs for mass mailing activities. Millions of spam messages are sent within a short time span and this requires appropriate technology. 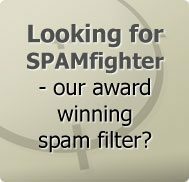 Such spammer applications are available as subscription services or as stand alone applications. The spammers also develop text to promote the different campaigns they intend to propagate through Internet. Antispam filters are well equipped to stop identical messages these days and due to this the spammers resort to mass mailings with identical messages but slightly altered text. The spammers include random text strings, words or even invisible text for this purpose. The spammers have also moved on to graphical spam, dynamic graphics and dynamic texts to surpass spam filters. Needless to say, antispam software providers are also constantly upgrading their products and methodologies used to fight spam. The battle against spam shows no signs of dying down in the near future.